The ill-treatment of Commonwealth soldiers may no longer make headlines, but scandalously high immigration fees are depriving many of those who have served this country of their right to settle in Britain, writes Vinita Templeton of Duncan Lewis. 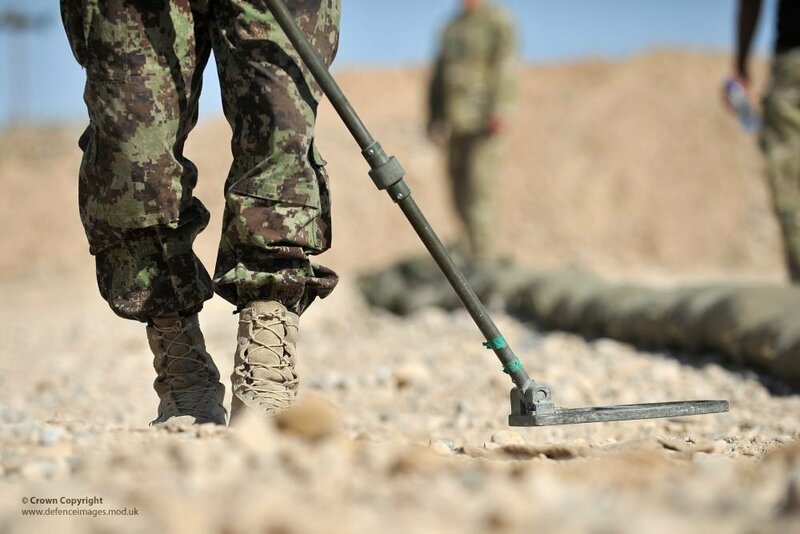 The new Home Secretary, Sajid Javid, recently announced that the £2,389 fee for indefinite leave to remain will be waived for Afghan interpreters who served for British troops. This concession is welcome news and, frankly, well overdue. This is not the only group of migrants with long-standing ties to this country for whom exorbitant immigration fees have been dropped. In April, Javid’s predecessor Amber Rudd announced that all fees would be waived for the Windrush generation, in recognition of the entrenched injustice borne by Commonwealth citizens who have been long associated with the UK and are in fact British. This is all wonderfully positive. Yet, still forgotten and still required to pay exorbitant fees for ILR are hundreds of Commonwealth soldiers who served and continue to faithfully serve in Her Majesty’s Armed Forces. What of them? There is a long tradition of Commonwealth soldiers serving in the British army. It was reported in April 2008 that there were more than 6,600 Commonwealth citizens in the British army. The reliance on Commonwealth citizens led to fears that the army’s “Britishness” was being diluted. A cap was then placed on recruitment of foreign soldiers into HM Forces by introducing a requirement of five years residency in the UK before eligibility for recruitment. By May 2016, the Ministry of Defence had reviewed its position and announced that the residence requirements would be waived to allow for the recruitment of 200 Commonwealth citizens per annum “to fill a limited number of roles in the Regular Armed Forces which require specialist skills”. Commonwealth soldiers are undoubtedly a vital component of the armed forces. Despite this, many of these soldiers continue to be beset by issues upon being discharged from the army – problems which arise by virtue of them being foreign. From time to time, media articles have demonstrated the degree of public support for Commonwealth personnel. Members of the public and charities have lobbied and signed petitions to support the applications of individual Commonwealth veterans and their families who wish to remain settled in the UK. Such publicity has mostly been short-lived because veterans whose predicaments are eventually resolved through community support are keen to simply get on with their lives. Take the now-forgotten case of Filimone Lacanivalu, a Fijian soldier. When he was discharged from the army in 2010, Mr Lacanivalu was unaware that Commonwealth soldiers with at least four years of service needed to apply for the right to remain in the UK within 28 days of their date of discharge. The army failed to tell him that he had to apply to stay, and that the application would require payment of a significant fee. He assumed he would automatically qualify to settle in the UK, not least as the “exempt from immigration control” stamp in his passport had not been cancelled and the army had not told him that he had to apply to remain. Having belatedly become aware of the need to make an application, in September 2013 Mr Lacanivalu attended the Home Office in Croydon to seek assistance. He was told to return on a specified date the following month, whereupon he was detained. This former soldier — whose service included deployment to in Afghanistan, Iraq and the Balkans — was taken to Harmondsworth immigration removal centre and a removal date set. His case drew much publicity at the time, so much so that then-Home Secretary Theresa May personally reviewed the case and Mr Lacanivalu was granted ILR on the eve of his scheduled removal date. The Lacanivalu case evidently triggered a review of Home Office policy. Within a fortnight, Modernised Guidance on HM Forces: Applications on Discharge was published (it was updated further in May 2015). This guidance replaced Chapter 15: Armed Forces (Immigration Directorate Instructions) that had been in place up to that point. 3.4. It is not an offence, on ceasing to be exempt from immigration control, to fail to apply for leave and a person failing to do so cannot be regarded as being here illegally. However, if such a person comes to notice they should be granted, without application on their part, limited leave for 28 days, employment prohibited, allowing them to make arrangements to leave the UK. This will bring them within the scope of the immigration control. If, by the end of that period, they fail to leave the UK and they have not applied for an extension of stay, they will become an overstayer and may be liable to administrative removal. On leaving HM Forces, a person is no longer exempt from immigration control. They should be informed of this in their official letter of discharge and, if they are without the right of abode, told to send their passport to ICC1 in the Immigration and Nationality Directorate in order to regularise their status by being granted 28 days leave to remain, code 3 – employment prohibited. Their former Unit should send a copy of the discharge letter, giving a private contact address, separately to ICC1. If their passport is not received within three weeks they should be informed in writing that they are no longer entitled to exemption from the terms of the Immigration Act 1971 (which they enjoyed while enlisted) and told to submit their passport and regularise their position. …since March 2014 the MOD has taken steps since that date to make sure appropriate and timely advice is given to discharging personnel regarding their immigration responsibilities. Many discharged soldiers find themselves floundering, unaccustomed to managing extensive paperwork and faced with the enormity of ever-rising immigration application fees that they can ill afford. Since 2013 the rise in the ILR application fee has been 127%, from £1,051 then to £2,389 now. When the actual cost of processing an ILR application is estimated to be £243, the kick in the teeth for these ex-servicemen is staggering. While the Home Office can plausibly argue that it is only fair for migrants to put a little (well, a lot) extra towards the running of the immigration system, this contribution rationale is hardly applicable to those who have served in war-torn countries for Her Majesty’s Armed Forces. There remains a consistent failure by the Ministry of Defence to correctly advise personnel about steps they need to take leading up to being discharged from the army. Discharge practice and procedures appear to vary from regiment to regiment and there is an absence of consistency and clarity. Commonwealth personnel leaving the army are prone to rely on information from peers, often relying on incorrect or outdated information arising from frequent changes in immigration rules. What constitutes “timely advice” bears a loose definition. In the case of my client Mr X, being told by his Welfare Officer of the need to apply for settlement a couple of months before his date of medical discharge from the army after 14 years of service was not timely enough. Not when he has a wife and five children to submit applications for. Not when he was erroneously advised that ILR applications only needed to be submitted for himself, his wife and his two eldest children because the younger three were British by virtue of having been born in the UK. Not when he later discovered that applications in fact needed to be submitted for all five children, making a grand total of £14,011 payable in fees. On a net pension of £700 a month there was no prospect of him being able to afford this without help from funds raised through crowdfunding. The responsibility for ensuring the welfare of Commonwealth personnel lies squarely on the state, and in particular the Ministry of Defence and the Home Office. Instead, it is left to charitable organisations such Army Families Federation, SSAFA and Veterans Aid to disseminate information and plug the gaps. Against the complexities of immigration and nationality laws, and ever-changing immigration rules, these organisations can lack the specialist knowledge to properly advise army personnel of their rights. The Armed Forces Convenant pledges that no-one should be disadvantaged by their service, and that in some cases special treatment might be appropriate. It notes that families play a vital role in supporting the operational effectiveness of the armed forces, and in return the whole nation has a moral obligation to members of the forces and their family who deserve respect, support and fair treatment. Viewed through the lens of the Covenant, there is reflected a deep-set trend of unfair treatment and failure of the state’s obligation to ensure the welfare of its Commonwealth personnel. Many other discharged soldiers in the UK are without regularised status because they simply cannot afford the Home Office fees or because they may not neatly satisfy the requirements for settlement. There is a fee waiver policy, but it does not cover ILR applications. When seeking assistance from Veterans Aid, soldiers in this position are inevitably told that they have overstayed, advised to return home and offered the cost of their passage home. In reality, policy dictates that the discharged soldiers must not be regarded as overstayers if they have not had any form of leave since they ceased to be exempt from immigration control — regardless of how long ago they were discharged. Some among them have families with children who have only ever known the UK as home. Some of these children may be eligible to apply to be registered as British, which would require a separate application to the Home Office and payment of another hefty application fee. The resilient few clients I have represented who have stayed the course and somehow cobbled together sufficient funds have been granted ILR, but only after years of desperate circumstances, including homelessness and mental health problems due to post-traumatic stress disorder. The government is finally facing up to the injustice done to British citizens from the Commonwealth and Afghan interpreters who have given service to British troops. It is now time to acknowledge the invaluable role of Commonwealth soldiers in the armed forces, and the inequality of treatment they continue to suffer by the government they have so faithfully served. I am Director of Immigration and Public Law at the Duncan Lewis Cardiff office. I specialise in a wide range of complex asylum, immigration and human rights matters, including cases involving vulnerable individuals such as victims of torture and human trafficking.